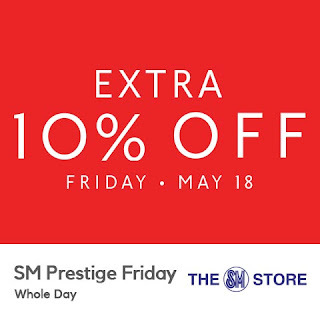 Are you ready for another SM 3-day SALE? 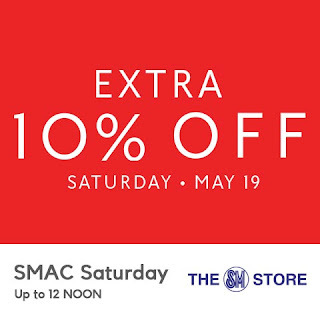 Check out SM Megamall, SM City Bacoor, SM City Bicutan, SM City Consolacion, SM City San Lazaro, SM City Santa Rosa, and SM Megacenter Cabanatuan 3-day SALE on May 18-20, 2018! 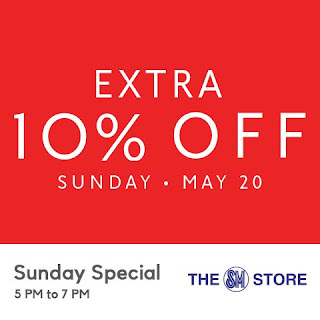 Get up to 70% off on great finds! 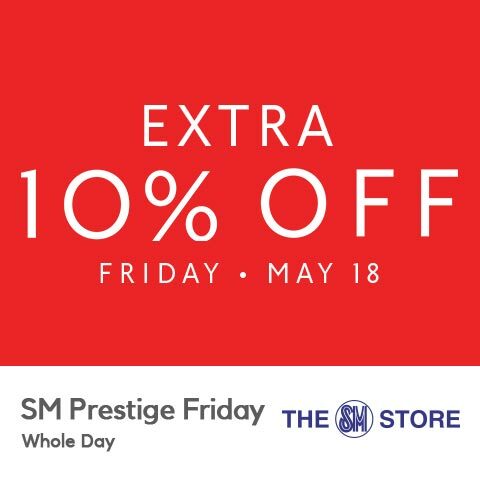 SM Prestige, and Diamond Rewards members get EXTRA 10% OFF during SM Prestige Friday on Friday, May 18, 2018 when you shop at The SM Store and select SM Retail partners below located at these SM Malls. 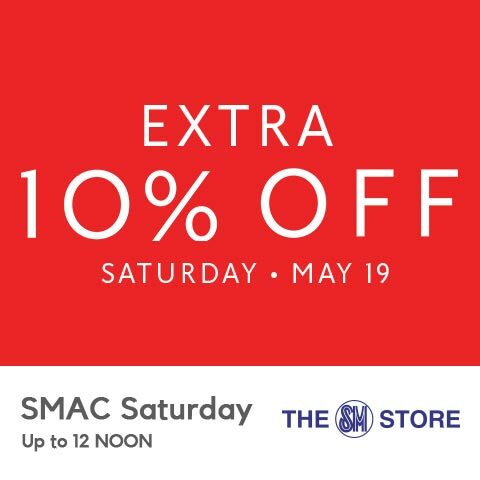 SM Advantage, SM Prestige, and BDO Rewards cardholders get EXTRA 10% OFF during SMAC Saturday Special on Saturday, May 19, 2018, up to 12 NOON when you shop at The SM Store and at select SM Retail partners below located at these SM Malls. 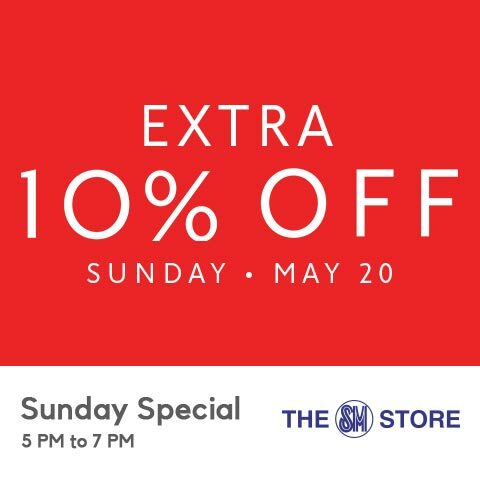 SM Advantage, SM Prestige, and BDO Rewards cardholders get EXTRA 10% OFF during the Sunday Special on Sunday, May 20, 2018, from 5 PM to 7 PM when you shop at The SM Store, and at these select SM Retail partners below located at these SM Malls.